Today's been quiet -- seems lots of folks are going out of town for… - When pigs fly. Today's been quiet -- seems lots of folks are going out of town for the long weekend. I decided to pick up some new clothes over my lunch break at Filene's Basement (kinda like the basement of Sibley's Downtown [Rochester] used to be.) Thanks go to Russ Shaner for telling me about this place!! I picked up two nice pair of dress pants for less then $20/ea, and as a bonus, I found an Armani dress shirt (normally $195.00) for only $19.95!! WOW! Tonight, I'm going to head into the city to pick up the rest of my property at the old apartment. If I pack early enough, I'll stop by at happy hour at The Alley for a couple of brews. Oh, yeah -- on the bike situation... I got a call yesterday evening. The stator coil is leaking to ground. When I had tested it last monday, I was using a test light, not an Ohm meter - which tested good with the test light, but a closer look with the Ohm meter showed a serious leak. 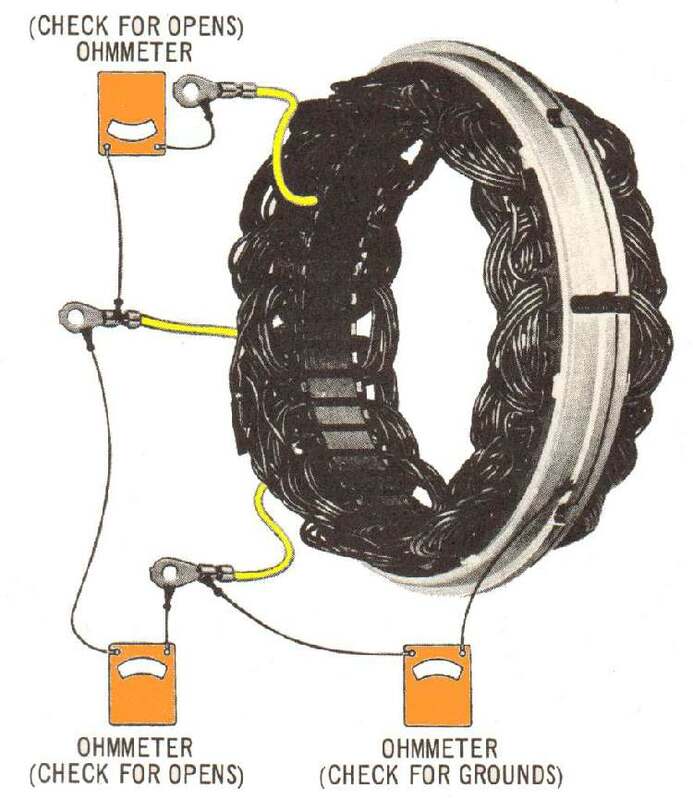 Replacing the stators is about a $500.00 expense. :-( Before deciding to have this done or not, I had my shop perform a copmpression test to determine the health/life of the engine -- the test came back great (meaning that the engine is in awesome shape) -- so, new bike for about ten grand, or keep the existing bike for another season (or more)? Pros: I like my bike. When it runs, it runs well. I know my bike well. There are a number of mods done to my bike that I like. My '84 is comsidered a "classic" bike now. Cons: It's not as reliable as it used to be (hey, neither am I!, age does that! ), the chrome on the engine is all but gone. The exhaust system needs a little work (there is another hole in the manifold - it's repairable [or replaceble]). I am getting itchy for a new bike.